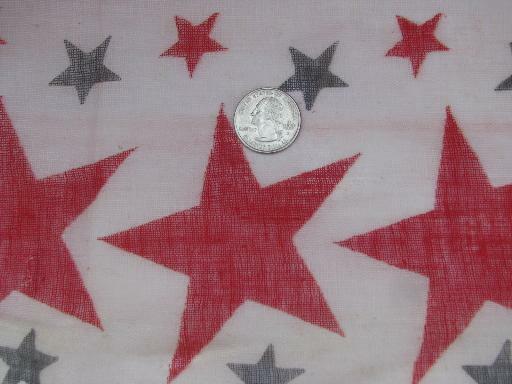 Beautiful old stars and stripes print fabric, a fine, light cotton, almost a gauze material. 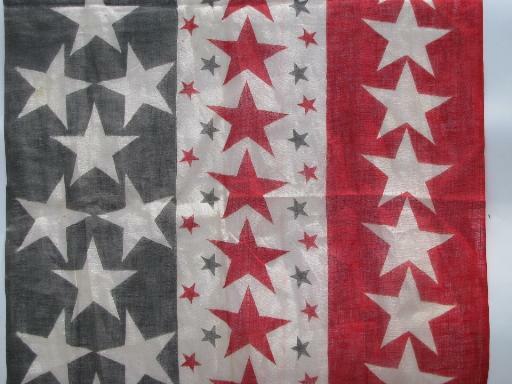 It's about 23" wide, one continous piece 3 yards long. It's in excellent condition, clean and nice. 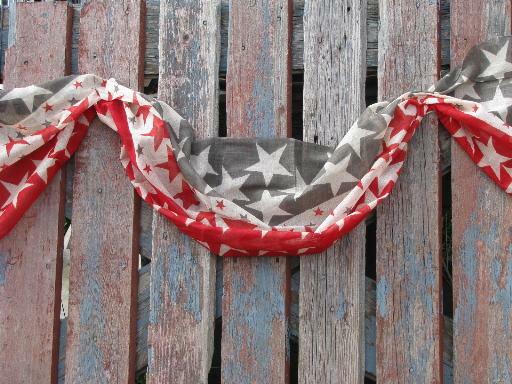 The muted blue color we believe is original, as there are no signs of fading to the fabric. We've seen similar (used) fabrics from the Civil War and Spanish American War, but have never found a length of unused fabric before!